It's party time! 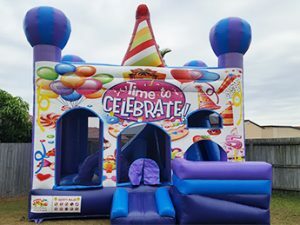 This is the perfect combo jumping castle for any type of celebration and will have the kids celebrating in style! 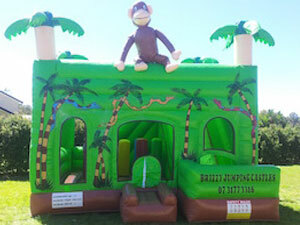 Our most popular combo castle takes you to the wild jungles. Beware of the snakes and befriend the monkey! Bring the carnival to your doorstep! 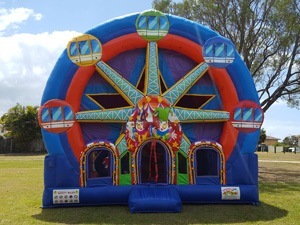 Our monstrous Ferris Wheel 5-in-1 combo castle includes 5 activities and a bouncing area! 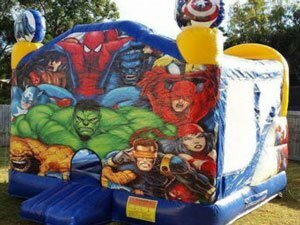 Join your favourite super heroes for this epic adventure - Spiderman, The Hulk, Batman and more! 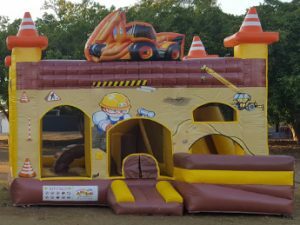 Grab your safety boots, hard hat and shovel so you can come get dirty at your very own construction site! The bright and colourful fairies want to spread their fun and love everywhere! Join them as they bring joy to your next party! The fire breathing dragon protects his kingdom! 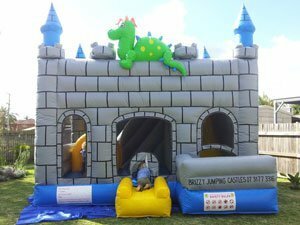 Join him inside his enchanted castle and enjoy the built-in fun! Dive deep into the ocean and swim with the fish, collect some seashells and keep an eye out for the mermaids! 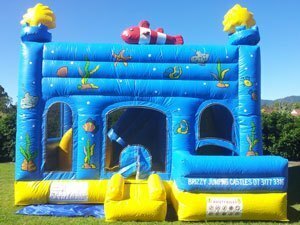 Large jumping castles measure a minimum of 5 metres x 5 metres and offer more entertainment including built in tunnels, punching poles, jumping areas, climbing stairs AND a built in slide - all housed under a rain/shade cover. 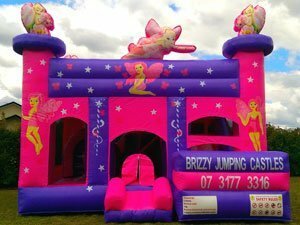 Again, lots of themes to choose from and to suit all types of events, our large combo jumping castles are designed with additional safety bumpers and walls to increase patron safety. Suitable for children up to 15 years.